The Ore Chipper Mouse is a breed of mouse found in Cantera Quarry. These little guys are the clean up crew of the Cantera Quarry. 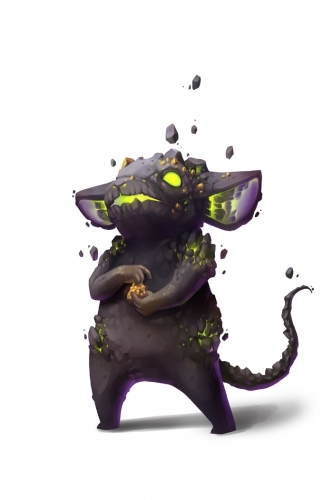 They are one of the smaller mice that scavenge the quarry, looking for any spare "chips" of Nachore left behind by the bigger mice. The Ore Chipper Mouse has been found to be attracted to Mild Queso. Only Shadow traps are effective against the Ore Chipper Mouse, all other power types are ineffective. This page was last edited on 27 June 2018, at 09:08.